Before carrying out a clinical trial, all outcomes that will be measured (e.g. blood pressure after one year of treatment) must be pre-specified in a trial protocol and on a clinical trial registry (e.g. 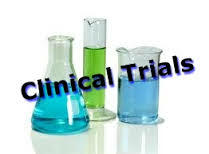 clinicaltrials.gov). This is because if researchers measure lots of things, some of those things are likely to give a positive result by random chance (a false positive). A pre-specified outcome is much less likely to give a false-positive result. In the trial report, all pre-specified outcomes must then be reported, to ensure a fair picture of the trial results. However, pre-specified outcomes are often left unreported, while novel outcomes that were not pre-specified are reported. This is an extremely common problem that distorts the evidence we use to make real-world clinical decisions.